I love cooking pasta in the crockpot. I know that most experts say you shouldn't cook pasta in the slow cooker, but I think they're wrong. 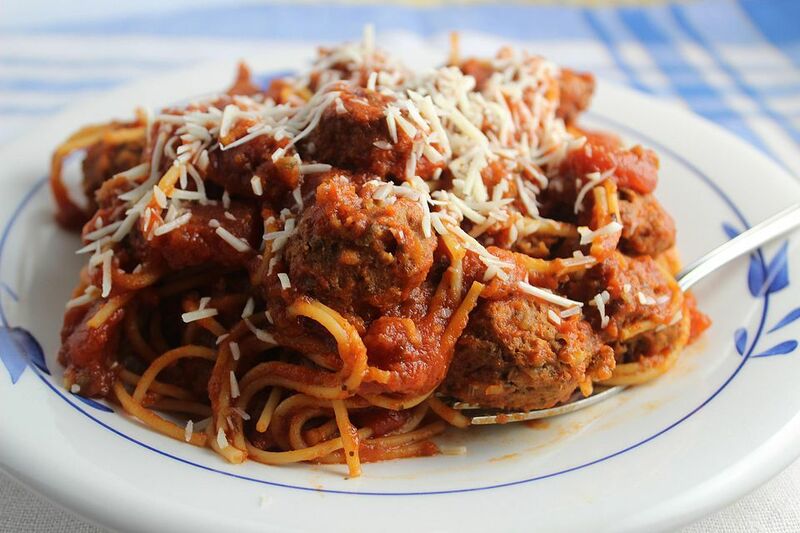 My favorite pasta crockpot recipe is All in the Slow Cooker Spaghetti and Meatballs. It's my go-to recipe when I just don't feel like cooking. When pasta cooks in the crockpot, it's cooking in the sauce you made. The sauce has to be fairly watery because the pasta will absorb a lot of the water as it cooks. If the sauce is too dry, the pasta won't cook through, and you'll end up with a solid piece of pasta in sauce. Because the pasta cooks in the sauce, it absorbs the flavors in that sauce. And some of the ingredients in the sauce, such as tomato sauce or lemon juice, prevents the pasta from overcooking. Make sure that you stir well when adding pasta to the crockpot. It almost always is added at the end of cooking time, except for a few recipes. You can add pasta at the beginning or in the middle of cooking; then the texture becomes very soft. If that's what you like, that's the method for you! Enjoy these easy recipes. And enjoy the fact that you don't have to lug around a huge pot of water even more. Frozen tortellini is the secret to this recipe. This type of pasta is fully cooked, just frozen, so all you're really doing is thawing it and heating. And this is a five-ingredient recipe! Fettuccine pasta is cooked in a rich Alfredo sauce with lots of vegetables in this easy and delicious recipe. Mini lasagna noodles, also called mafalda, are used in this recipe. I love the flavors and textures of this rich dish. It's a party in a pot! This excellent recipe cooks orzo pasta in a mixture of andouille sausage, chicken, vegetables, and shrimp. Yum. There's only one thing that makes comfort food better: no work to make it. Add everything to the pot, stir, cover, turn it on, and eat three hours later. Ramen noodles cook to perfection in this rich and hearty soup. It's so easy. I love the flavors and colors of this easy recipe. It's perfect for a cold winter day. Add more veggies to this recipe to make it even healthier. You can add more salt, but remember salt has 2400 mg of sodium per teaspoon.